It was a very snowy day when I was moving. But it didn’t seem to matter much to the movers from Charter van lines. They arrived right on time and started packing all my valuables. The truck was loaded efficiently and they set off in the snow covered way. They delivered on time, even in a pouring blizzard. I really would have forgiven them for inefficiency given the weather conditions. But they didn’t disappoint me even in that pathetic weather. I didn’t have very good experience with the movers I hired in the past. They had no coordination among them. The same can’t be said about Charter van lines though. Their crew was made up of professional, trained and organized people. They worked very cooperatively with each other, picking up where the other one left off. It was an amazing move and not one item of mine suffered any damages during this process. It was such a smooth sailing and I have to thank Charter van lines for it. I had to move away from home because the new job offer was too tempting. The problem was finding the right moving company. My friend swore by Charter van lines and so I had to hire them. This company is just too professional. Every little detail is foreseen by them. The movers were all very capable men who came prepared with all the right tools. They finished the job in such a short amount of time and displayed amazing skills. All my belongings were safely delivered after 2 days and I just couldn’t be any happier. I am gladly recommending them. Having to leave your home where you grew up, feel in love and raised your kids is not easy. But when your employer of 35 years decides to lay you off suddenly, you really don’t have a choice. But at least there is a moving company who made sure I move the least painstakingly way. Charter van lines performed an excellent job at moving all my belongings. 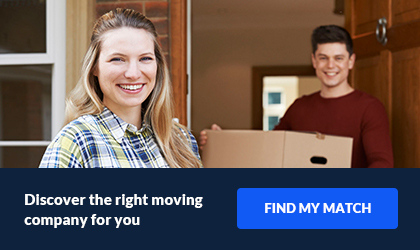 I'm saying that because many of my friends have had terrible experiences with other movers. As if the movers stopped caring about us just like the economy. At least I have all my belongings intact while I'm starting to make a new life. This moving company has taken very good care of us and our stuffs, that also at a very low price. I am forever grateful. We selected Charter Van lines bc it had reasonable reviews, but we had an absolutely terrible experience. I should note that the subcontractors they actually sent were ok, but Charter underquoted the job by over $3K and once the subcontractors showed up, they said they wouldn't take our things unless we paid more money. That is 50% over the quote. We had also paid for packing services over two days, however, they only packed on the first day and toldus we'd have to pay even more to get the rest of our things packed--so we ended up paying over $9K and had to spend a half day packing last minute. Also, many of our things arrived damaged and a lot of our art wasn't packed as promised. We reached out to Charter multiple times for explanations of the fees (they will NOT release your stuff to you unless you pay them the outstanding amount--so basically extortion), and to request payment for our damaged items (including one box that never arrived), and did not hear back from them. We also filed a claim with BBB to which Charter has not responded. Do not use them. We did a full inventory and then they claimed things like "heavier than anticipated." A terrible experience when you HAVE to move and can't research other options last minute. This was a very expensive lesson to learn. We move around quite a lot and always get stuck with very mediocre moving companies. We have come to expect now that some of our things will break, some will get damaged and some will be lost forever during relocation. But I was proven wrong by the very efficient movers from Charter van lines. These guys were so professional. They arrived on time and took very less time to finish the packing- loading process. The delivery was made on time. Surprisingly nothing was broken, damaged or lost. It was such an easy relocation and I only have Charter van lines to thank for it. I have hired Charter van lines several times now and I can honestly say that they are very reliable. Many movers often complain that moving companies had lost their valuables. But this company is yet to lose any of my boxes. In fact, they do the job so efficiently that my belongings don’t even suffer the slightest of damage. The crews I worked with have always been friendly and helpful. Their customer service always checks up on me even after the move is completed. That really is a nice touch. One thing to note: even if the movers finish the work early, you have to pay them for the whole hour. I think that’s a small price to pay for the amazing job they do. Charter van lines is a company that has a huge network, a large fleet and superbly efficient movers. I know this because I have hired them before. They were just as good, if not better, during my last move. They took all the information, cross referenced with my previous move and gave a very reasonable quote. The men who moved my stuffs charged by hour so they had to be quick; and they were. All my stuffs turned up at my new house right on schedule. I am so happy to be recommending them. For the last two moves I have been hiring Charter van lines. All the people I have dealt with from this company have been very professional and active. I learned many things from them. They showed punctuality in every step of my moves. They are also more economical than others. The movers are very efficient. They packed our all stuffs properly. They have delivered my properties undamaged both times. I think I’m sticking to these guys for all my future moves. Charter van lines was our moving solution during our last move. They gave me a reasonable quote. On the day of moving they sent me 3 young men. All three of them were very capable and experienced. It took them very little time to pack and load all my belongings. I was surprised when they made the delivery on time and all my belongings arrived so well. This company is experienced, organized and reasonably priced. I would definitely hire them again if I move. I wonder why we all can’t get our dreams jobs at the cities we call home. Home will always be home but the big apple does provide me better opportunities in my professional field. The only consolation is that the things that remind me of home are still here with me, thanks to Charter van lines which immaculately transported all my things. They were very professional at their job and they really know how to do their job. I have never seen anyone packing things so perfectly, not even the packing lady at the gift shop. All that at such a good price! 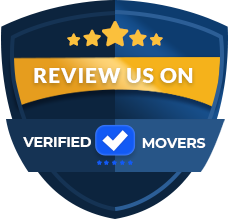 Thank you, fellow movers who left countless positive reviews on multiple websites, for helping us find Charter van lines! We turned our large home of 21 years into a rental property and had a large number of boxes and bins to put into storage and a whole other set of 23 cartons that needed to go to FedEx for shipment to our new home across country. I arranged it all long distance, and my husband was with the movers in the other house to oversee. He said he was blown away by how efficient, strong, kind, and fast the two gentlemen that this company sent were. They packed everything into the truck and then went first, to FedEx, then the storage space. Hubby could not praise enough about how smoothly everything went. I will be hiring them again for sure. I've never used a moving company before, and I am so unbelievably happy that we did! I requested a quote from Charter van lines and someone called me just a few minutes later. We scheduled our move and they called to confirm the day before. The two movers they sent were great - they arrived on time and got right to work. They were so nice and kind and took such great care of our things! They were also super-fast -- it would have taken us over a day to take care of everything they did in just over a few hours! Thank you so much for making our move the easiest and least stressful move I've ever had. Now I can rest easy in our new apartment tonight! I'm so incredibly grateful. If you're moving interstate, go with these guys! Horrible Services from bigenning to 3 weeks later when we got our staff..some broken, and boxes falling apart after being in a warehouse in Chicago for 3 weeks....DO not recommend this company nor Househaulding. Very bad service and they charged more on the moving day. I have no other option and paid them. My wife was upset with their services. They delivered scratched sofa. A cheating company, they give very low quote and take deposit.On moving day , driver wont agree even for what it is in the contract.They say some stupid reasons that sofa is heavy,boxes are not clean. They will leave us and go and don't even refund the money. I reserved it and later heard from my friend that its a cheating company,immediately I asked for cancellation but they didn't and on moving day they charged $983 extra. This is a broker company, They have tie up with topratemoving.com. Charter van lines is not responsible for any of your items damaged/missing. Even topratemoving.com also wont care about your words. I missed my bag which costs $3k with my valuable items. They brought a bag to me which was not belongs to me and when i refused to take that bag, they simply thrown that bag in trash near my building. STAY AWAY! THEY ARE NOT A MOVING COMPANY/VAN LINES. THEY ARE BROKERS! This is the type of company we all heard about on the news. I was dumb enough to believe them when I went to a moving quite website, they called me. Didn't realize (stupid) the site sold my number to 50 companies. Their quote for moving me from TX to MA was $4500. I gave them a $950 "deposit". A few days later, I found out they were a scam. Called to cancel, they refused to refund my money. I disputed with my bank. Bank ended up siding with them because of the contract even though they scammed me. This company doesn't own not 1 moving truck much less a van/18 wheeler. Charter Van Lines underquoted my move by 30%, provided little documentation to justify the increased quote, and then I had 12/40 crushed boxes (due to stacking heavy items on top of light), water damaged cloth furniture (from a leaking trailer and torn heavy duty plastic wrap), and plenty of broken heavy duty plastic totes. In a bright spot, Robert, the mover on the delivery, was an excellent and professional fellow who was level headed and did his due diligence for his company in documenting issues. However, I would discourage others from using this van line due to everything - especially warehousing and trailer loading at warehousing - leading up until the delivery. Charter van lines helped me move to Oregon. It was difficult for me to find a trustworthy moving company, but after I did my research, they somehow stood out. They had plenty of positive reviews and testimonials so I called them immediately. They seemed professional and reliable during our first call, so I decided to go for them. To be honest, I was concerned if my valuable breakables would survive the trip. I was impressed when I realized that nothing was broken or lost throughout the process. They are the best movers I’ve ever met and I’ll be happy to move with them again! Charter van lines managed to accommodate my move although I had only a couple of weeks to move to Indiana for my new job. I got detailed instructions from the sales person so I knew exactly what to expect at any stage of the move. I was referred to Charter van lines by my friend and according to his experience I knew they were an honest company I could trust with my belongings. The transition to a new state was an extremely demanding and stressful prospect and these amazing guys were a huge support. They managed to put my mind at ease with their professional and friendly approach. I was very impressed with Charter Van lines. I decided to hire this company on such short notice. Although I was nervous, they really fulfilled my needs as a customer. They didn't break anything! That was such a fear of mine. I have already recommended this company to a friend. They did everything up to par and was able to help me reserve the elevators on my delivery apartment. The customer service is way better than most that I have dealt with. Charter van lines inc helped me during my cross-country move from California to Jacksonville, FL. I had to move for my job and I didn’t have much time to organize everything. While I was researching moving companies, I noticed that Charter van lines stood out somehow. I went through their reviews which were mostly positive so I called them immediately. Their proactive approach and professionalism actually helped me decide. They were willing to handle everything on short notice and more importantly, I didn’t pay too much. A reasonable pricing combined with a quality service seems to be the best possible option when it comes to choosing a moving company. We used Charter van lines inc to move our family home to Calabasas, CA. I have to admit that researching moving companies was a painful and time-consuming experience. At some point the colleague of mine recommended Charter van lines. I called them immediately, our communication went smoothly and they answered right away all my questions and concerns. There was a slight issue with the truck, but they took care of it in no time. They took care of my items with the utmost care so I didn’t have to worry about anything. Eventually I paid exactly the same amount that was previously quoted. I’m so glad my friend referred me to Charter van lines. It turned out that hiring them was one of the best decisions ever. Great customer service and moving and packing skills make this company one of the greatest service providers I’ve ever dealt with. Everything was pretty straight-forward with them – transparent pricing, quality and timely service, great communication, friendly but professional approach. Now all I can say is that I will recommend these guys with all my heart to all my coworkers, friends and relatives. I will use them again for sure if I have to move house again. They are definitely one of the best in the business. Charter Van Lines is a moving broker who contracted another (awful) company for my move out of NYC. I was told one thing on the phone when booking the move, and when the movers showed up the entire opposite was true and they tried to charge me $1k more. Of course I when I emailed Luke, who scheduled my move, to tell him they need to understand how the moving companies they are contracting to ACTUALLY work and bill, I got no response. They'll say anything to get you to sign that contract and then it's all out the window. What a shame. Your deposit goes right to Charter for doing nothing and falling off the face of the earth, and then you pay another moving company on top of that. Just be aware! Charter van lines movers helped me wrap some of the fragile and sentimental items I wasn’t sure how to pack. They ensured a painless move and I’m really grateful for it. I had a terrible experience with another company during my previous move and I even considered moving everything by myself this time. Luckily, a colleague of mine recommended Charter van lines saying that they were a great help for his family. He actually convinced me to give them a chance and at this point I’m glad that I did that. In order to keep me as a customer they even offered a free furniture disassembling service. Best movers ever! I had a bad experience with Charter Van Lines, trust the user experiences on Yelp even if their company has an A+ rating on BBB. It's incorrect. They do not disclose a lot of information during the quoting process which resulted in me sleeping on the floor for 3 weeks without my belonging and the actual movers (some company contracted out of another state) overcharging me $200 the day of delivery, incorrectly too, but didn't find out until after the movers left. Bill of Lading Terms and Conditions--Carrier will attempt delivery within 10 (Ten) days for delivery within 500 miles, 14 (Fourteen) days for delivery within 501-1000 mils and up to 21 (Twenty-one) days for delivery within 1001-1500 miles and within 30 (Thirty) days for delivery over 1500 miles from the FIRST available delivery date requested. Which means, say the first available delivery date is the next day, no matter what. I went without my belongings for 3 weeks in an empty house. Had to sleep on the floor and put my guests visiting (who were excited to stay in my new place) up in a hotel. The broker agent will not care about responding or helping you after they've made their deal. A flight of stairs equals 10 steps, if you have a landing in between each floor then the moving company will count that as 2 sets of stairs. So when I told the agent I was on the 3rd floor, he didn't ask if there was a landing and when I negotiated the price down by the amount of additional floors. What they really did was deduct the $60 fee from their own brokerage profit and left the 1 flight of stairs so the movers ended up recharging me for the additional and more stairs than expected at delivery. The contracted movers threatened me into paying the additional fees: "Either pay me an extra $200 or I leave all your things outside on the ground"
I paid $2,600 just to wait for my furniture for 3 weeks. And had to go buy basic living items during that time. If it's going to cost you about that much to hire local movers at each location to load and unload, a U-Haul and 2-3 days driving time. I would suggest you just move your own things, you'll save on the heart and headache. My husband and I used Charter Van Lines for our recent move to Boston. We decided to find our own moving company after reading some of the reviews of the movers his employer was willing to pay for. This company was great at communicating with us every step of the way. There was an issue with one of the drivers at the pickup site. He was rude and on his personal cell phone for the majority of the time he was at our house. We called and spoke to their customer service after the pickup was completed and they assured us this would be addressed as they do not tolerate this type of behavior. We later found out that mover was fired and they made sure the driver and the crew that arrived for delivery was A+. We did have a few items show up scratched which was easy to fix on our own so we did not file a claim for. I would rate them 4/5 stars. I moved with Charter Van Lines and it seemed at first that they did a good job. I wasn’t involved in the process because I had other personal issues to deal with and I decided to trust them with my belongings. They took care of packing and transporting my belongings and they seemed totally trustworthy. When I was unpacking I noticed some unfamiliar items that weren’t mine. What’s more, those items were damaged and my movers claimed they had nothing to do with it. It was an unpleasant situation for everyone involved and I don’t think I will recommend this company to anyone. I had two weeks to set up a move since I waited until the last minute of my lease. The company got me set up and picked up within three days. Awesome. I have a small two-bedroom apartment. It was packed and loaded within two hours. The unfortunate part is that I am on the fourth floor. No close by elevators or stairs and the ‘easy’ access is a very long parking garage. It didn’t seem to faze the movers at all. Charter Van lines was incorporated in 2016 in Boca Raton Florida. As a newer business, they have done a great job at providing wonderful service. They high praise and reviews. 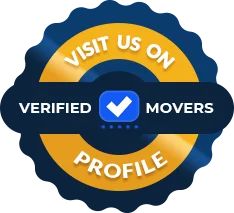 The owners have been in moving industry for years, and they wanted to create their own company and make it flawless and have every move customized to each person, because no one move is alike. Because of the experience the employees have, each move they perform is seamless. They do everything they can to make sure that customer shows nothing but satisfaction. From full-service to auto transport moving, they offer the services you need for your long distance relocation. They also offer local residential and long distance moves, as well as office relocation. No matter where you are moving to, and what kind of space you are moving from, they will be there to assist you every step of the way. You can count on it! Charter Van Lines is a Federal Motor Carrier Safety Administration (FMCSA) member. They also assist military members with relocating and provide great Military Service Discounts. They also have storage options for all customers. Charter has many different facilities all over the country. All units they use are climate controlled. You will not need to worry about anything happening to your items when they are in storage. Whether you are downsizing or just not ready quite yet for your delivery, Charter Van Lines will fully accommodate you with one of their many storage options. As soon as your deem yourself ready, let a representative know and they will schedule your delivery for you! Charter Van Lines puts the customer first. They do not want you to get caught up in that messy moving stress. Give them a call or check their website out today for a free quote.